The vision first made possible by Waite and Genevieve Phillips is now one of America’s finest art museums. Villa Philbrook was a child of the Twenties. World War I was over. Women could vote. It was a time of flappers, rumble seats, prohibition, bootleggers and five-cent Cokes. More than that, in Tulsa the Twenties smelled of oil and resounded with money. In 1926 Edward Buehler Delk (1885–1956), a Kansas City architect, was hired to design an Italian Renaissance villa on 25 acres by oilman Waite Phillips. Delk skillfully interpreted Renaissance styles in the most fashionable manner of the day and was hired in a burst of commissions with three major projects at once: Villa Philbrook, Villa Philmonte and the Philtower office building. This impressive home was completed in 1927. Friends say that the Phillipses built the villa as a place where their two children could entertain friends. When they moved in, daughter Helen was sixteen, son Elliott was ten. 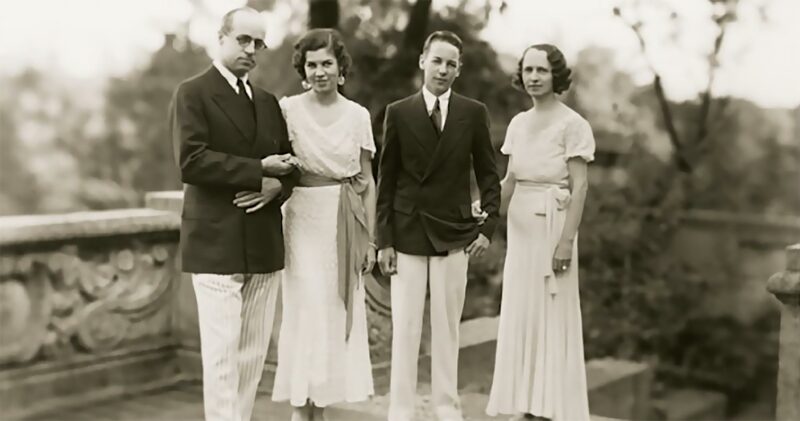 In 1938 Waite Phillips surprised Tulsans with the announcement of his gift of the 72-room mansion and surrounding 23 acres of grounds as an art center for the city of Tulsa. The vision first made possible by Waite and Genevieve Phillips is now one of America’s finest art museums. The integrity of the original residence remains intact while later additions to the facility and gardens complete this classic Tulsa attraction. Serving over 160,000 visitors annually, Philbrook has become a poignant testimony to Tulsa’s past while building a shining example of this city’s bright future. Through the generosity of Trustees, Donors, and the George Kaiser Family Foundation, Philbrook opened a new satellite facility in Tulsa’s Brady Arts District on June 14, 2013 featuring the Museum’s growing collection of Modern and contemporary art as well as highlights from the comprehensive Native American collection, which includes the Eugene B. Adkins Collection and Study Center. What began as an unprecedented gift to the community of Tulsa by the Phillips family continues today through the generosity of Philbrook Members and donors.